My sister gave me a beautiful Azalea last weekend to cheer me up after a stay in hospital. She picked it out on the basis of the word ‘hardy’ on the plant label. It appears that this one will take full sun. I have a question mark in my mind about that when I consider temperatures of 103C in mid January for two weeks at a time which is quite possible here. However with some extra shade at that time of the year I am quite hopeful. It also says ‘will not tolerate lime’ so this plant is destined to be pot grown forever. It would be too much to ask that lime intolerance be bred out of a species. I certainly appreciate a flowering plant in a pot which will give me great pleasure for months to come. Not as transient as a bunch of flowers. What is my definition of a hardy plant? This takes some thought. Here is a progressive list. The plants must be able to be readily established in the ground. They must continue to grow and not just sit there. Flowering needs to be seasonal and readily seen, not just an occasional bloom. Some frost, drought and lime tolerance, at least. Will grow in soils of different structures, eg sand, loam, clay. Will handle soils of reasonable drainage. (Water logged soil is a bit much to ask, but to only cope with ‘well drained’ can be limiting). Resistant to a variety of munching or sap sucking pests. I am sure more will appear on this list as I begin to look around town for a beginning. ‘Hardy’ is such a relative word as is the phrase ‘drought tolerant’. I thought it probably timely to compile a list of what I feel to be ‘Hardy Australian Native Plants.’ Members of the bottlebrush family would feature in this list. 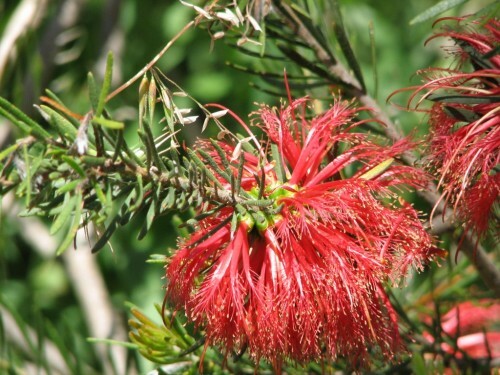 I began a list of tough plants before so see here for some of the bottlebrushes already mentioned. Maybe this list should be tackled by size of plant as so many plants would appear on this list. These plants are good value in any garden. Some flower twice in the year. The treatment for all is the same. 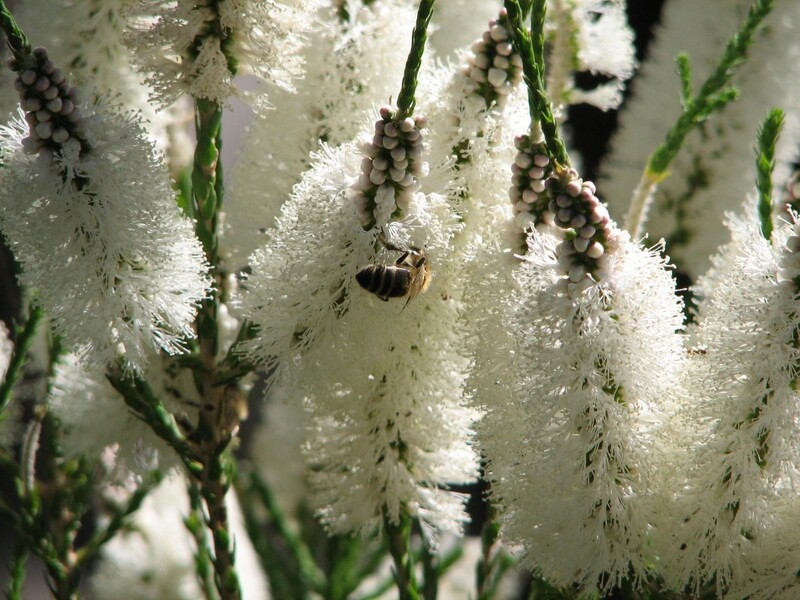 At the end of flowering, trim the old flowers off to prevent seed pods forming and encourage new growth. The majority will flower on the next lot of growth. The more tips, the more flowers. 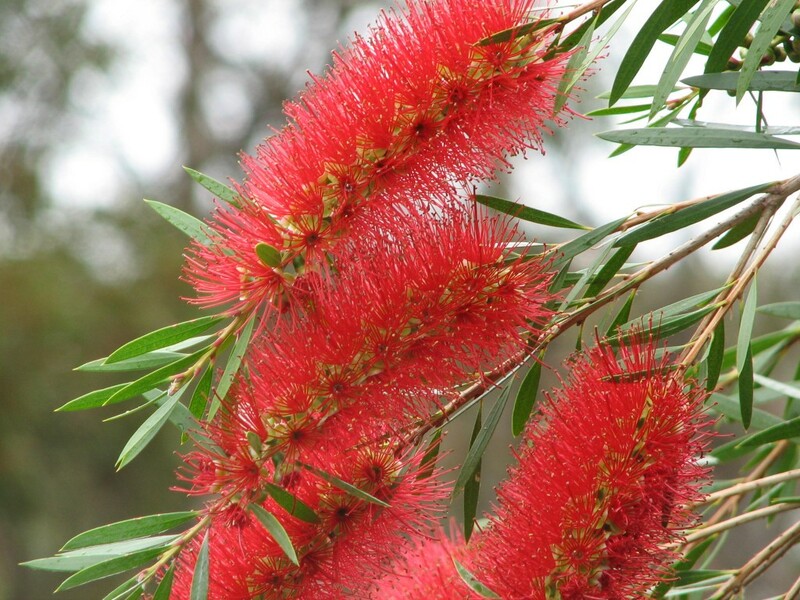 Callistemon viminalis is a popular small street tree here and is a picture in flower. Callistemon phoeniceus is a medium shrub with fiery red brushes (sometimes pinkish red). 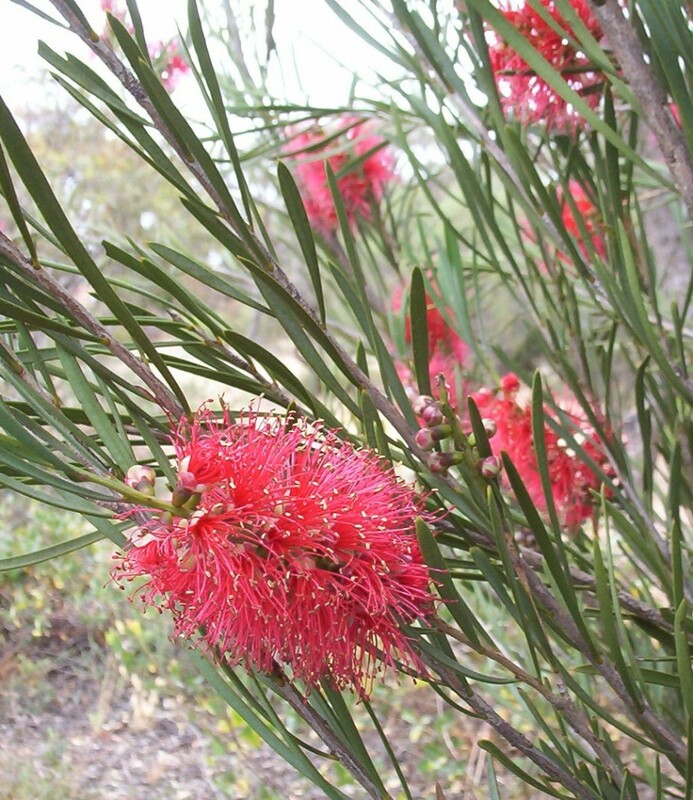 Calothamnus homolophyllus is a small shrub with red one-sided bottlebrush flowers. All of these grow well in alkaine soil, with reasonable drainage and of course would reach their maximum size if there was sufficient rain to push them along. They still grow well in our low rainfall area and in periods of very little rain as is the case this winter. You are currently browsing the archives for the Plants With Bottlebrush Flowers category.